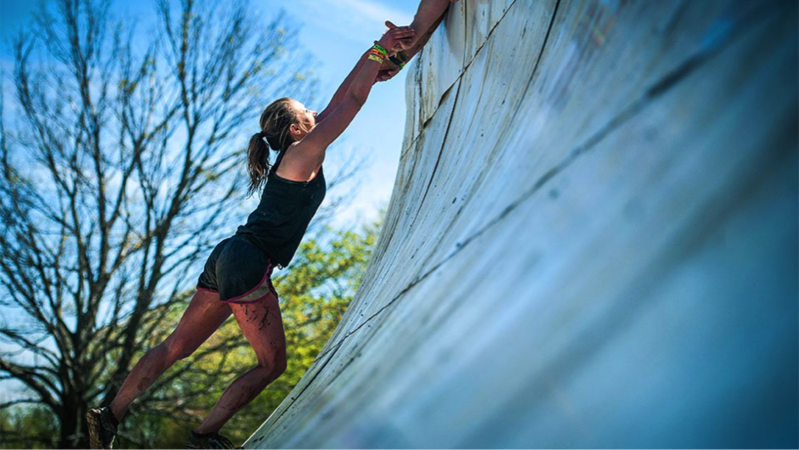 My friend just completed a “tough mudder” challenge – 5 miles, 13 mud-soaked obstacles and a lot of team work and pain…perhaps unsurprisingly when I heard about this feat of unexpected physical assertion (this isn’t her usual weekend activity!) it reminded me of when I completed my one and only half marathon run, how terrified I felt beforehand, the tough days and nights of training, pushing myself beyond limits I even knew I was capable of and being stunned and in awe of my body at the end of it. Needless to say I’ve never repeated the experience! But that’s not the only time I’ve surmounted such an impossible task. I’m sure I’m not alone in declaring that infertility has floored me, pushed me and focused me in ways I never thought possible so I thought I’d take some time this week to reflect on lessons learned from my fertility journey. This can be a useful exercise even if you’re right in the thick of your journey, to just take some time out and see how far you’ve come and how your experience has changed you, because guaranteed it will have done in one way or another. We all show such resilience with all the fights and struggles we come across in life and infertility is a pretty big one. Even things that might not seem like a big deal ie. going back to work after a crappy, disappointing appointment or bad news shows resilience. Learning to give yourself injections when you’re pretty scared of them shows resilience and strength. For me, it was going back into IVF round after round after previous failures and taking the pain and stress in my stride. And we certainly need bucketloads of this to get through the weeks/months/years of waiting around, waiting for something to change, waiting for a diagnosis, waiting for a pregnancy test and waiting for a baby. Without patience, we’d drive ourselves mad so we’re forced to accept it as part of our journey. I’ve taken to expressing Gratitude for all the wonderful things in my life as a daily ritual, and I tell you what, it makes you feel fantastic! Even after my second miscarriage, I made sure I found something to be grateful for every day and it totally shifted my mindset in quite a dramatic way. I will never take anything for granted now and will always find something to be thankful for even in the darkest of days. I’m not sure I ever expected to push myself way out of my comfort zone quite as much as I have done in the past few years. Let’s face it there is nothing comfortable about infertility and all those times you drag yourself to a baby shower or go into a baby shop to buy a present for your friend, go through procedures that fill you with dread or show up everyday to work with a brave face, you’re pushing your boundaries and growing in strength and that is such a positive thing even though it might not feel like it at the time. I remember when I had my first miscarriage, I was actually amazed at how wonderful my body was and how it knew how to react and how to heal. Not the reaction I was expecting but Appreciating my body has been a really wonderful bi-product of my infertility journey and one that I’m determined to keep focused on as not only can I run further than I ever thought possible, I can overcome all manner of other physical stress in a way I wasn’t prepared for. Our bodies are things to be celebrated, not criticised. By appreciating the body we’re in for all its magic and its struggles, it makes us want to take care of ourselves in every way; from mental support with mindfulness, relaxation, talking therapies to physical support in terms of our nutrition, exercise, wellbeing and also to be really in tune with ourselves so that we can flag up when things aren’t right and focus on healing as opposed to beating ourselves up all the time. I’m so proud of how far I’ve come on this journey and I hope you are too – we can’t do these things alone; we have our various support networks around us but together we can grow, learn and become more in tune with ourselves even when we feel like we’ve hit rock bottom. There is always some good that comes out of it. What have you learned on your journey so far? What things have you let go of and what priorities have shifted for you? I’d love to hear from you, wherever you are on your journey. You May Like The Deep Freeze & "Let it Go"